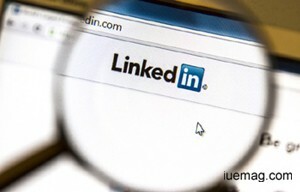 Before you get in to LinkedIn you must read this! 1. LinkedIn is definitely not for people who login for doing anything and everything. It is a professional network that connects people with a purpose. Before you begin, make sure you have your purpose clear. 2. Unlike many other social networking sites, you don't make friends here. You make connections. Adding relevant connections is more important than adding anyone and everyone. 3. It's vital to have a presence on the site that emphasizes what you have to share and what you need from others. 4. Recommendations are a vital currency in LinkedIn that help establish credibility and trust. 5. Involvement in groups and discussions will help you make new connections with people of similar interests. 6. Make use of the Q&A section to give and receive advice: answering questions from other members of the network can be a great way to gain recommendations and useful new connections. This is a lively area where specific niche business questions are posted. 7. LinkedIn allows you to work within your own set budget. The benefit of advertising on LinkedIn is that you can target your message at specific people — by job title and function; by industry and company size; by seniority and age; and by LinkedIn groups. Any facts, figures or references stated here are made by the author & don't reflect the endorsement of iU at all times unless otherwise drafted by official staff at iU. This article was first published here on 22nd February 2015.